Home>Best Hospitality Degrees FAQ>What is Branding? Branding is a hot buzzword in the world of business and important to understand for people with a marketing degree, a hospitality degree or anyone who wants to go into business. However, its meaning is not always entirely clear. What follows is a guide that goes over the basics of branding and its importance in the modern business world. A company’s brand is essentially their identity. It is a combination of many different factors including trademarked logos, color combinations, the type of products offered and general public image. At its core, it is the image customers associate with a certain company or organization. Creating a brand rarely happens by accident. It takes careful consideration by an organization to determine what their brand should be in the first place, in addition to continuously working to keep that image intact. A company or organization’s brand is important for a number of key reasons. Done right, it can help companies reach their target audiences much more easily, gain a strong, positive reputation, and enjoy widespread recognition. It is relatively easy to get a logo designed and decide on key color combinations. What’s a little harder is taking those basics and growing them into a strong brand. An organization must uncover their true values and then ensure all members of the organization live those values every day. For example, businesses and organizations need to pay close attention to their customer service in relation to their branding efforts. Every interaction between customer service and a customer works towards building or destroying an organization’s brand. 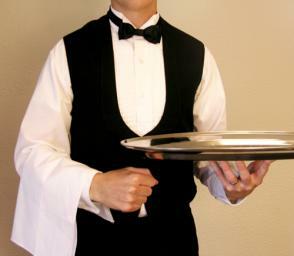 Students who obtain a hospitality degree are in a good position to oversee this because they understand the importance of seeing to the needs of customers. Social media plays an important role in forming and maintaining a company’s brand. Constant updates allow companies to live up to their image every time they make a post and therefore reinforce that image in the minds of customers. Many customers learn about new companies, products, and services online in the modern day. Users also read previously-posted content to gain a good idea of what each company stands for. Social media also serves as a powerful conduit through which news about organizations spreads. A positive or negative news story can spread throughout social media and become known to the public much faster than was possible before. Companies need to be extra careful of this and leverage social media to paint a positive yet honest picture of their organization. How Can Companies Improve Their Brand? There are a number of ways companies can work to improve their branding. As outlined above, paying close attention to how customer service resolves issues is a must. Companies need to put sufficient resources into training customer service personnel so they will uphold the organization’s brand during every customer interaction. Companies can also improve their brand by specifically targeting their ideal customers and focusing on the unique things they have to offer as opposed to their competitors. According to Forbes, other actions organizations can take include improving company culture and enlisting the help of experts and consultants. Branding is one of the most important tools modern organizations have to craft a public image. When done successfully, customers associate the positive image or reputation with that organization and therefore are more likely to give the company their business. In the end, branding is all about image, something anyone holding a hospitality degree should thoroughly understand.